They Maserati name had been famous from 1926 to 1940 and followed a certain creed to develop a car to compete in the 1100 ccm racing class. Selling their business to Adolfo Orsi after their 10-year contract ended at Maserati, the brothers began their next venture. 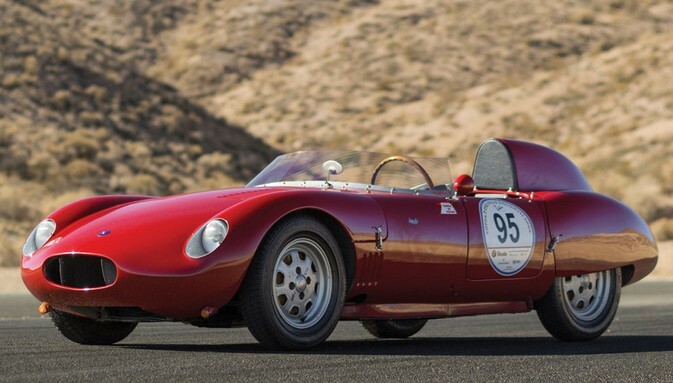 Starting another race car company after World War II, the brothers came up with a new brand of Italian sports car with possibly the most difficult pronouncing name for a race car that became known as OSCA. The MT-4 Officina Specializzata Costruzione Automobili Fratelli Maserati was produced in Bologna, Italy and sold between $325,000 and $375,000. With less than 200 models made in 1947, sales were competitive and the OSCA became incredibly popular and desired by the elite. Not originally in the design, the OSCA eventually became modified to accommodate a Simpson Special land-speed record engine. Winning ten records at Bonneville Salt Flats in Utah, this motor has remained in the OSCA since being fully restored. The OSCA was designed with 4 cylinders, with a 1.092-litre engine. Some car engines made by OSCA during 1951 from 1962 were entered in Formula One events and ranked first in the World Sportscar Championship.